2014. What a year! It flew bye. Well, a little admission here, at the mid-way point I didn’t think 2015 would ever arrive! It really dragged at a certain point. Let me put this way, at the end of September the year took off in a sprint for year end finish line. Woohoo! 2015 is finally here and I am ready to ROCK this year. I will rock it! I’m really excited about this year. I feel it is truly going to be an amazing year, and absolutely wonderful on several levels. Lose weight. 10 to 15 pounds to be exact. Let me be candid and state that all of my reasons, a-hem excuses, was not a good idea. Consistency, commitment, motivation, and regime will be a huge key to my success here. Stay tuned for my workout routine(s). Lose weight, 10-15 pounds to be exact. My goal is the weight and change my curves as well. Eat clean(er). Smaller portions. Consume less sugar. Cut-out soda, period. Increase water intake. Keep, cheat days though – these are important. Stay tunes for what I’ll be eating, how I made the adjustments and yep, I’ll share the recipes. Have more fun! RELAX and enjoy life more. Smell the roses. Take (more) deep breaths. Less sighs and eye rolls. Less stress altogether, life’s too short. Do more actives for me. A few that I will devote more time to: blogging, crafts/DIY and sending out snail mail. Be on the lookout … you might receive some! Get Number Nerd Bookkeeping Solutions off the ground! Shhh… my goal is January 31st. Be more realistic with my to-do list(s), expectations and goals. Admission: I have a serious problem with this area of my life and I’m very hard on myself when I don’t make my deadlines. Eeek! Work-in-progress. Last but, not least blog consistency. 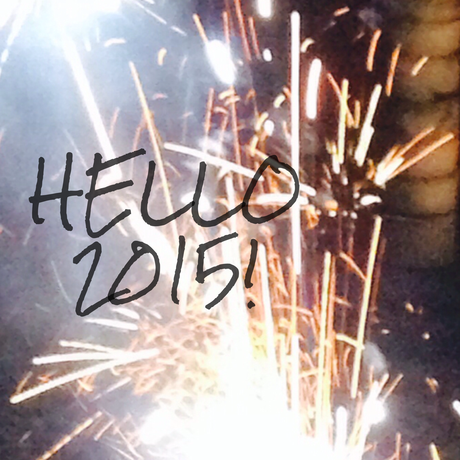 Stay tuned for updates on what is to come on the blog this 2015, post(s) in the works! Did you make any resolutions for 2015? Any exciting plans, goals or trips?